Home Technology Nokia XI-01 and C2-00 Duals SIMs will be released in Davao-PH soon!- Specs and price review. Nokia XI-01 and C2-00 Duals SIMs will be released in Davao-PH soon!- Specs and price review. Nokia finally had made their new Dual Sim pride, the Nokia XI-01 and C2-00 which was launch after realizing the great market for it. The said two models of Nokia’s Dual SIM will be release soon in the Davao with a very affordable budget price; Nokia XI-01 comes with SRP P1,990 and the C2-00 for P 2,990 as of this time. “Although we are a bit late on offering the products in the local market, we are ensuring that the phones have innovative features with very affordable price,” Nikka Abes, corporate communications manager of Nokia Philippines, said yesterday during the launching of the two new products at the Apo View Hotel Davao. she said, without citing any figures on how many units would be shipped especially in Mindanao which is eyed to be the firm’s growth area. Nikka Abes, corporate communications manager of Nokia Philippines, said yesterday during the launching of the two new products at the Apo View Hotel Davao that the units would be made available immediately to finally join in the competition. 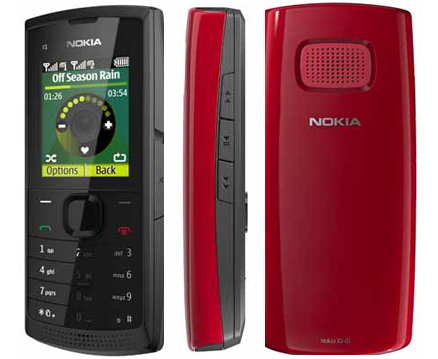 Nokia XI-01, supports up to 16 GB of external memory and can shuffle songs.Has the loudest and clear speaker sound among Nokia phones. The phone also features dedicated music side keys and a battery that will last for up to 36 hours of continued music playback. Colours: Dark Grey, Red, Ocean Blue, and Orange. 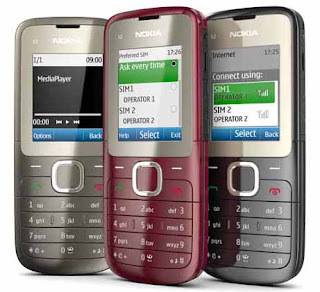 The Nokia C2-00 is the first dual-SIM phone to have Easy Swap, which offers a user the convenience of changing SIM cards without the need to turn off the phone or remove the battery. Pre-loaded with Ovi Live Tools and Ovi Mail. At present, the two new dual-sim units, Nokia X1-01 and Nokia C2-00, are currently available in southeast Asian countries like Thailand and Vietnam where majority of the market demands inexpensive mobile phones.